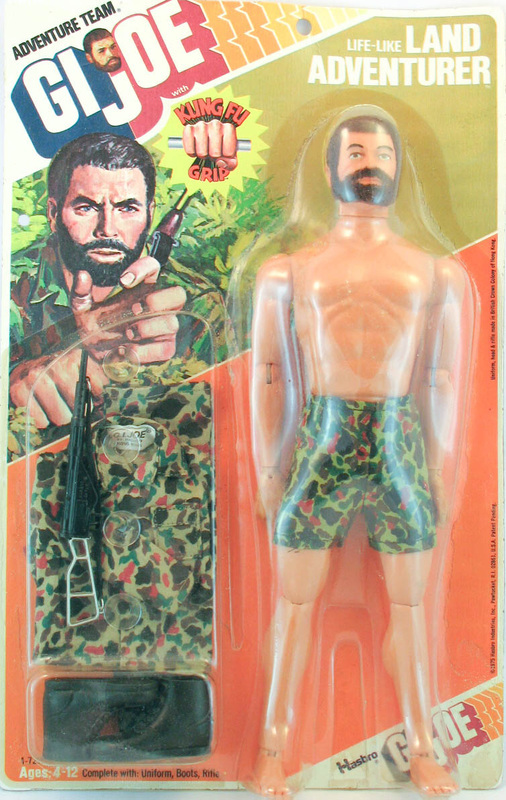 The 1976 Life-Like Land Adventurer was released in two carded versions, a basic (7270) with just the figure and shorts and the complete version (7280) with shorts, camouflage fatigues, boots and a black hunting rifle with rubber strap. It seems that with the late issue figures Hasbro was looking to use up whatever old stock they had so, as in the case of the set below, sometimes a Sten gun might be substituted. 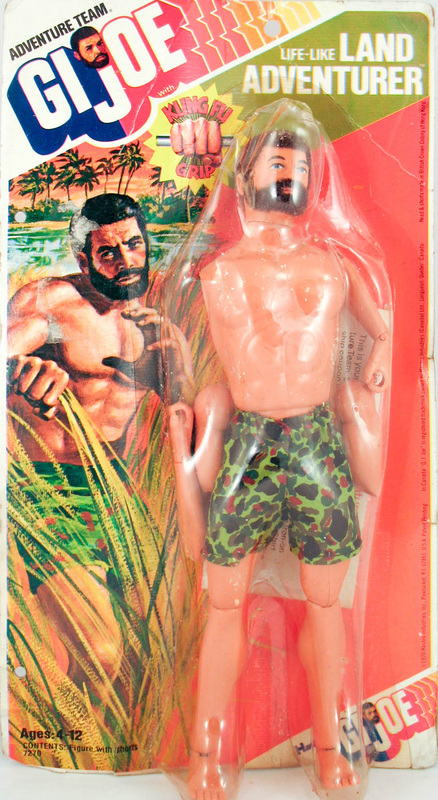 The Land Adventurer comes with brown flocked hair and blue eyes.